High-resolution headshot here. Click here for a news release. 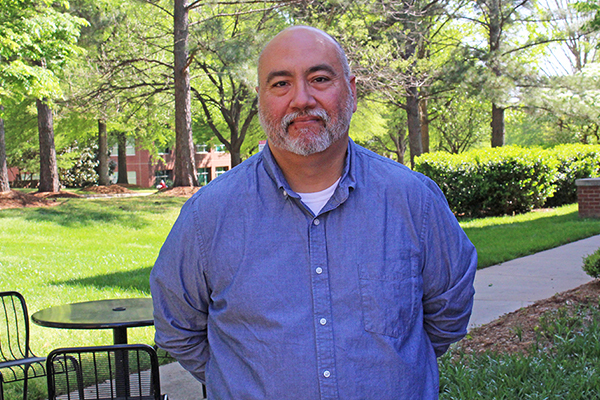 Frank Lopez is the extension director for North Carolina Sea Grant and the state’s Water Resources Research Institute. He supervises extension specialists for the programs in Raleigh, Morehead City, Manteo, and Wilmington. The extension team’s portfolio meets the programs’ spectrum of focus areas on the coast and statewide. Lopez comes to Sea Grant and WRRI from the Ohio Department of Natural Resources, where he administered the Old Woman Creek National Estuarine Research Reserve, an integrated research/education program, in Huron for more than 14 years. He has a master’s degree in regional planning from the University of North Carolina at Chapel Hill.